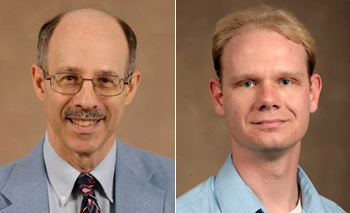 Neil Charness, the William G. Chase Professor of Psychology, and Walter R. Boot, an assistant professor of psychology, found that both the attitudes and abilities of older adults pose barriers to adopting new forms of technology and urged designers to consider those barriers when developing new products. Charness and Boot will publish a review of the research on the topic in Current Directions in Psychological Science. "The technology gap is a problem because technology, particularly computer and Internet technology, is becoming ubiquitous, and full participation in society becomes more difficult for those without such access," said Charness, who along with Boot received a $1.5 million, five-year subcontract from a National Institute of Aging grant to support the Center for Research and Education on Aging and Technology Enhancement (CREATE). Established a decade ago, the center is comprised of researchers at FSU, the University of Miami and the Georgia Institute of Technology, who study ways to increase technology use in order to promote cognition and health in older Americans. From booking airline tickets to seeking health care information, almost everything is easier, cheaper or faster online. Older adults who may be less mobile in particular stand to benefit from innovations such as online banking. But there is a sharp decline in Internet use after age 65, the researchers said, citing a 2007 Pew Tracking Survey that showed 85 percent of adults in 18-24, 25-34 and 35-44 age groups used the Internet. By contrast, only 39 percent of adults between 65 and 74, and 24 percent of adults between 75 and 84 were Internet users. Declining cognitive processes, decreased memory capacity and difficulty maintaining attention — all part of the normal aging process — can make it difficult for seniors to learn new skills. In fact, Charness said, it takes older adults roughly twice as long as younger people to learn a new word processor under self-paced learning conditions. That's true even for older adults who have prior experience with another word processor. The extra time and effort required to learn a new skill are among the reasons why older adults are generally less motivated than younger people to learn new skills — particularly if they decide that the potential benefits of the new technology are not worth it. In addition, seniors may make a greater number of errors as they interact with technology that was not designed with their capabilities in mind. Create cell phones with simplified menus, large fonts and buttons and external noise reduction. Design Web sites with high contrast backgrounds and text, larger fonts and minimal scrolling. The sites should provide navigation aids and instructional support. Computer games — such as Nintendo's Brain Age — and software packages that have been developed for and marketed to older adults may also help reverse age-related declines in perceptual and cognitive abilities, the researchers said. "There is limited but encouraging evidence that these so-called brain fitness software packages make a difference in improving some basic skills, but so far there is little evidence that they improve older adults' quality of life or ability to live independently," Boot said. "That should be the measure of success in evaluating these programs." Although the technology gap between younger and older adults is expected to lessen over time as more adults "grow up" with computers, the problem will not disappear in future generations, the researchers said. That's because technology will undoubtedly continue to advance rapidly, and age-related declines in cognitive, perceptual and psychomotor skills will make it more difficult for seniors to keep up with the changes. Don't believe it? Consider that today's seniors grew up with telephones, and yet they have been much slower to adapt to using cell phones. Still, those over 65 are more likely to use a cell phone — 46 percent of them do — than use the Internet. "The technology gap is a problem because technology, particularly computer and Internet technology, is becoming ubiquitous, and full participation in society becomes more difficult for those without such access."